Mixed Co2 industrial laser cutting machine is a newly super technology, mainly used to cut both metal and non-metal materials. 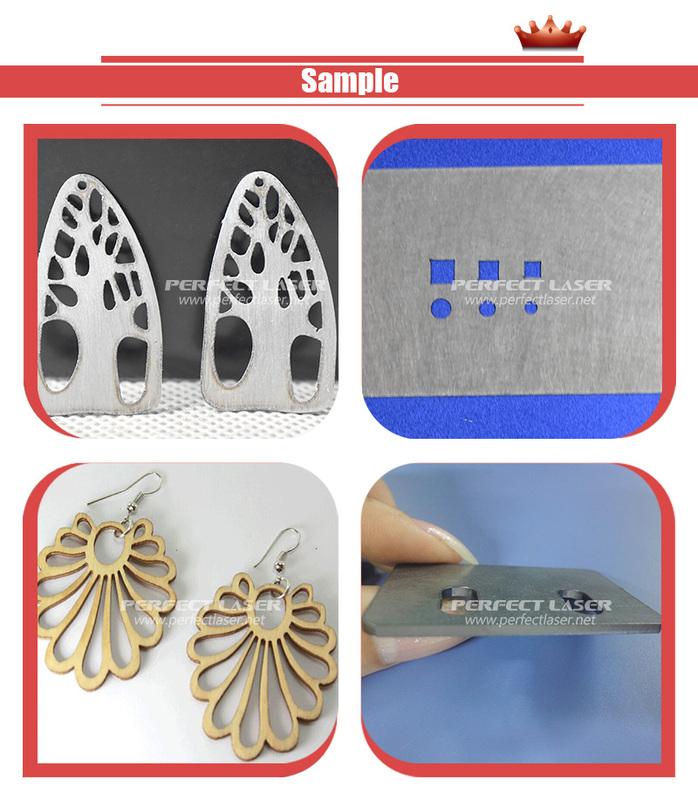 The cutting thickness of this metal and nonmetal laser cutting machine can reach 1-2mm stainless steel, 1-3mm carbon steel, 20-30mm acrylic, 10-20mm wood, 20-25mm MDF. The industrial laser cutting machine is a so wonderful choice for user who has demand to cut 1-2mm thin metal material and thick non-metal materials by own this co2 laser metal cutting machine. And this industrial laser cutting machine is 1325 series standard version. One machine can fulfill all your demand. Saving much cost. 1) Mix Cutting: The chinese laser cutter supports both metal and non-metal Cutting, which can cut stainless steel, carbon steel, mild steel, also can cut acrylic, wood, MDF, PVC board, paper, fabric, etc. 2) The metal and nonmetal laser cutting machine adopts 150w / 180w / 260w / 300w Laser Tube, high power, 10000 hours long life span. 3) Adopt Japan imported Motor and Ball Screw transmission rod, this metal and nonmetal laser cutting machine with fast speed and high precision. 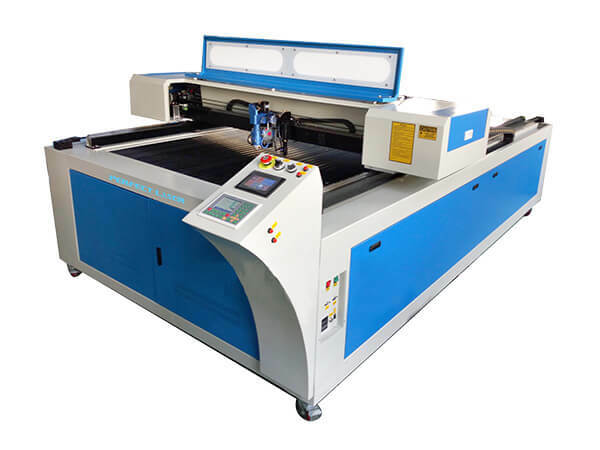 4) This metal and nonmetal laser cutting machine adopts dynamic auto-focusing metal sheet laser cutting head: When the metal sheet is not plain, the dynamic focus laser cutting head can adjust the focusing distance automatically. 5) Advanced LCD Touch Screen+ USB port+ DSP Offline Control, which make the co2 laser metal cutting machine can not only work without computer, but also connect to U disk, USB communication. 6) LCD Control System own 128M Big Memory, which can store files in the co2 laser metal cutting machine, compatible with AutoCAD, CorelDraw, Photoshop and some other kinds of graph disposal software. 7) This industrial laser cutting machine use imported high precision linear guide rail and professional optical system, dust-proof and lubricate, which improve the engraving quality and prolong the lifetime of industrial laser cutting machine. 8) Professional Strip work table: meets the needs of diversified laser procession. 10) Equipped with luxury Consumables, USA original Focus Lens and reflect mirror, this co2 laser metal cutting machine makes high efficiency and steady.